Locks/Keys play a crucial role in ensuring your property is safe from burglars. It should be maintained at its top condition. However, it is inevitable that this mechanical security tools suddenly break down or refrain from functioning effectively because of frequent use and other external causes. And sometimes due to human error- the key is lost, misplaced or stolen, the security might be compromised. Secure your property or car through the help of the trusted Mobile locksmith San Diego. When to Use Mobile Locksmith San Diego Services? Misplaced, lost vehicle keys or stolen keys. If you lose the keys to your property for whatever reason, either because you forgot where you have placed it or somebody has taken it, , then your 24 hour mobile locksmith San Diego will be able not only to guarantee extra keys but can also ensure that only your new keys can be used to open your property. Thus, it eliminates the worries of intruders. Need spare replacement keys or key cutting. 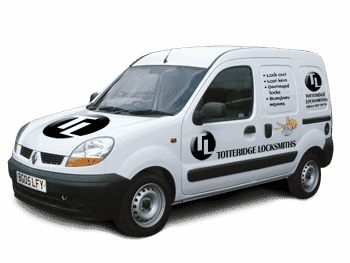 Your reliable mobile locksmith can provide you with entirely new spare keys to replace what have lost. With increasingly intricate electronics in today’s security measures, it is no longer just about cutting keys. Sometimes, the chips have to be reprogrammed to make sure that the lock efficiently works. Your expert locksmiths have the necessary equipment and skills to create new spare keys in a reasonable and quick manner. When you are locked out of your property or vehicle. Getting locked out your property or vehicle is not something you will be glad for. Open up your property seamlessly, safely and immediately with the help of San Diego expert locksmiths. San Diego’s Lock technicians will be able to help you gain entry to your property or vehicle through picking up the lock. Damaged or broken lock. If you have damaged or broken lock, faulty latch or defective bonnet car, a mobile locksmith can help you fix the faulty lock or make a new key that will seamlessly fit. Car keys are stuck in ignition. If your vehicle keys have stuck or snapped in the car’s ignition, expert locksmith can help thru either replacing or repairing it. Who can use 24-hour mobile locksmith San Diego services? The lock at your home plays a significant role in ensuring that the property is secured against burglars. Don’t leave your property vulnerable to trespassers, burglars, or other criminals. Call one of mobile locksmith San Diego when you are locked out of your property or have lost, misplaced or stolen keys. Whether you need locks replacement (or any lock related concern) for your door, window gates or want to patch-up property’s home system, you can depend on trusted locksmiths. Your reliable locksmiths also service digital locks or any other high tech locks. You can also expect help when it comes to fixing or finding high-safety products or to replace locks on file cabinets, security cabinets, fire safes, safes, etc. Your reliable locksmith service provider can make your residential property secure through fixing and upgrading current locks of all types. Do not fret if you ever have misplaced your car keys, have locked it inside the car or someone had stolen it in the middle of nowhere. You may be tempted to try gaining access through breaking the window or through seeking help from strangers whom you don’t even know if are credible or have the necessary skills. But both may just do more harm than good. Your reliable mobile locksmith can come to your location immediately upon your request. These lock technicians carry appropriate tools and have necessary skills to help you gain access to your car without causing further damage to it or posing risks to yourself or to the people around. Your trusted locksmiths are able to work with vehicle locks of all models and makes. Lock concerns may happen anytime and anywhere. Being locked out of your home or vehicle is both frustrating and inconvenient. Unintentionally locking yourself out of your vehicle while it is running is definitely cause for an alarm, particularly if there are children inside. Don’t wait for bad things to happen. Whenever you faced lock out situation, immediately call mobile emergency locksmith services. 24 hour mobile locksmith San Diego is at your service any time of the day. You don’t have to wait for countless hours or for the next day to gain access to your property. Whether you find yourself in a locked out situation in the middle of the cold night or burning hot summer afternoon, your reliable locksmith can come to your place instantly and will fix your lock concern in a breeze. So why worry about being locked out or suffer the pressure of leaving your business or home unsecured or your car unattended when there is mobile locksmith you can secure your property and vehicle right from its spot. For a fast and professional 24 locksmith service, feel free to contact 24 hour Mobile locksmith San Diego. Expect a well-done job. The experienced and adept locksmith will handle and complete each task with the highest standard in the industry. Your locks will be changed or replaced to make your home or business safe.